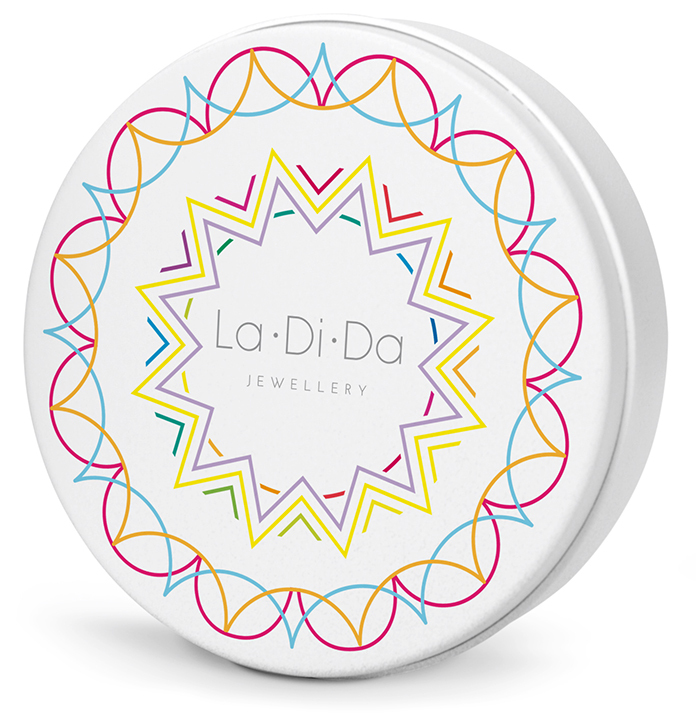 Share the post "La Di Da Jewellery"
La Di Da is a new jewellery brand based in Hertfordshire, who create beautiful, hand-crafted jewellery for the retail trade. They came to Edmundson Design with a brief to create a colourful, stylish and sophisticated brand identity. 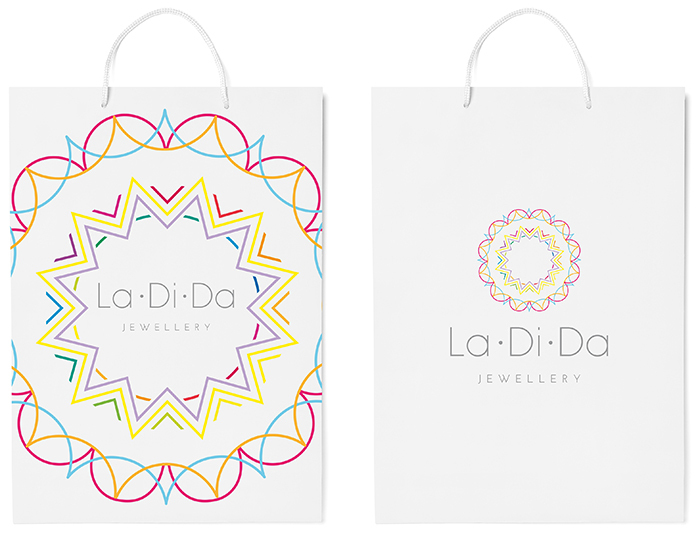 A kaleidoscope theme was developed to mirror the colourful aspect of the jewellery and patterns made up of the letterforms from the word ‘La Di Da’ formed each ring within the circular design. Two logos were developed – a centred logo for stationery and collateral, as well as a circular logo which can be used as an alternative on packaging and social media.